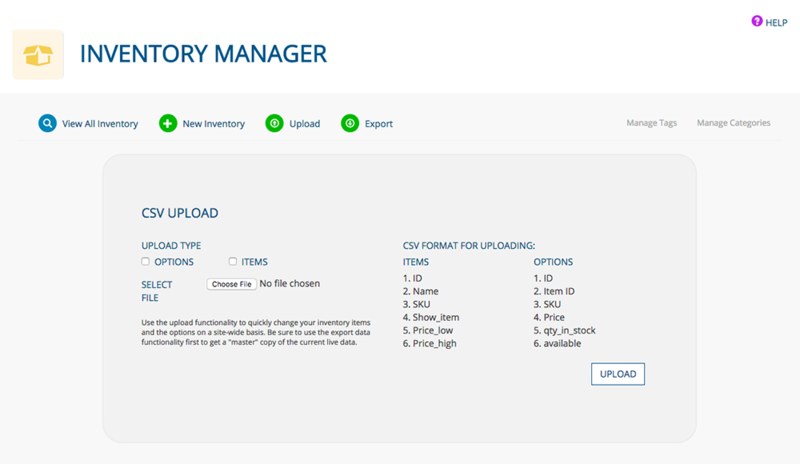 Visit the Inventory Manager app by selecting it in the app menu or by visiting the Dashboard and selecting it there. 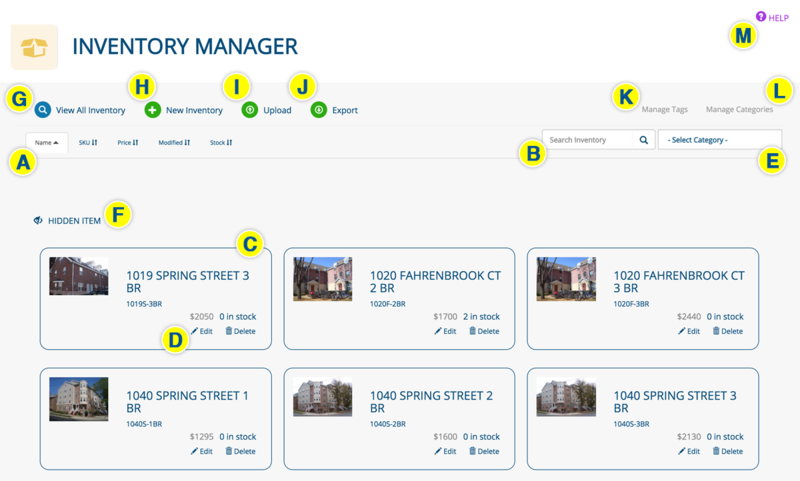 The Inventory Manager is a robust app with a variety of features. It is possible that your inventory set-up does not require all of the available features, meaning that not all of the following documentation applies to your set-up. 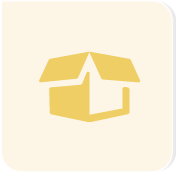 Each listing (C) tells you the name, SKU, price, number in stock, and whether it is hidden, and gives you the option to edit or delete an item by clicking the appropriate icons (D). You also can edit an item by clicking it. Select an option from the SELECT CATEGORY dropdown menu (E) to access a specific set of inventory items. Return to this page by clicking VIEW ALL INVENTORY (G) from any page within the app. 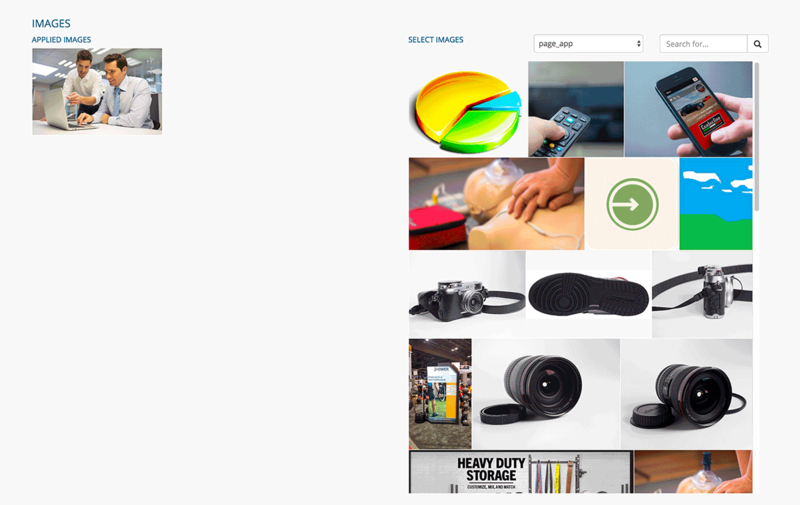 Click NEW INVENTORY from any page in the Inventory Manager app. Select an option from the CONTACT EMAIL dropdown menu, or add a new email address and click the + icon. Example: Bosch Wiper Blades; The Bosch 19-inch ICON model's exclusive fx dual rubber resists heat and ozone deterioration and is proven to last up to 40% longer than other premium wiper blades. Keep the HIDE ITEM in its default ITEM LIVE position to publish the inventory item. 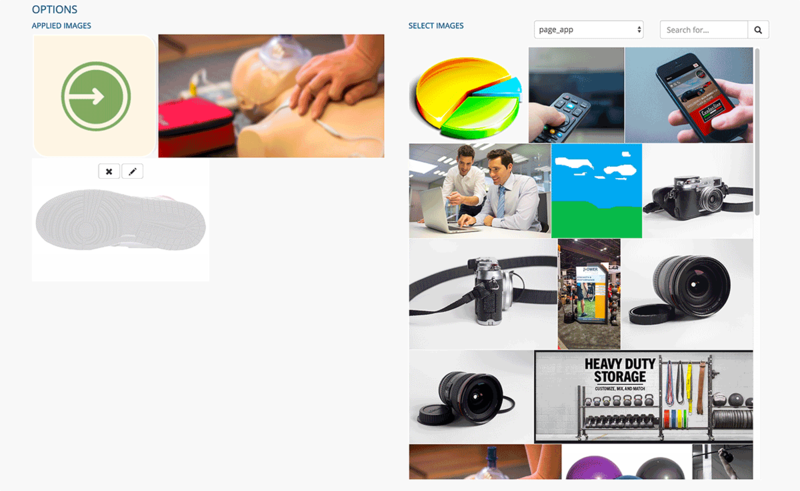 Click it to hide the item from public view. Click an item from the AVAILABLE CATEGORIES field to assign it to the inventory item; it will move to the ASSIGNED CATEGORIES field. Click an item from the ASSIGNED CATEGORIES field to unassign it. If applicable, enter the inventory's LOCATION. Make an entry in the field below and click the + icon to create a new location. Enter the item's specific ADDRESS. Enter the option SKU, PRICE, and SIZE, indicate whether it's AVAILABLE, the number in STOCK, and write a DESCRIPTION. Click the SAVE button. Click RETURN TO INVENTORY ITEM to go back. Click a tag in the AVAILABLE TAGS field to assign it to the inventory item. Click a tag in the ASSIGNED TAGS field to unassign it. Click the SAVE button when you are finished creating/editing your inventory item, or the DELETE button to delete it. Choose whether to export OPTIONS or ITEMS by clicking the appropriate checkbox. A Excel spreadsheet will be downloaded to your computer. Open it, make edits to the file (do not make changes to the ID or ITEM_ID columns, and do not change the name of the file) and save it.